Mommy Moment's with Abby's review of Just A Drop: So, running a daycare means I get the joys and smells of potty training, over and over again. This can be made even more of an issue during flu season when smells may make a sensitive stomach pushed past that point of just being sensitive into a dangerous now your going to get sick area. One way to combat this would be to use this product. Just adding a drop before the kids sat on the potty meant that whatever smell I would encounter would be removed and replaced with a rosemary sort of scent. This is a much more pleasant scent that what normally greats me when I'm potty training. 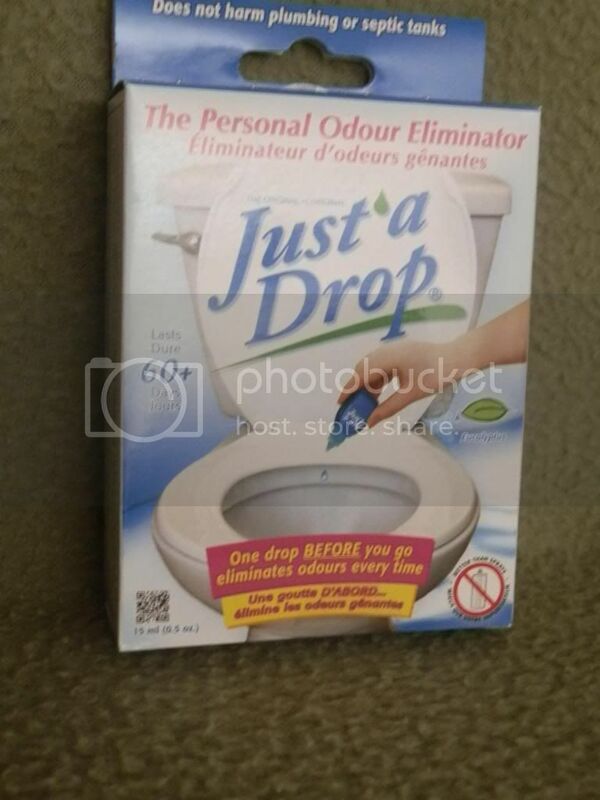 I liked that I didn't have to spray a bunch of chemicals in the air after a kid went potty and instead could add a drop to the water and have a more natural smell floating about. It doesn't just work on potty training kids, but if you can get your spouse to use it, it works for them too making the bathroom less of a scary place to share. They even offer a 30 day unconditional money back guarantee.